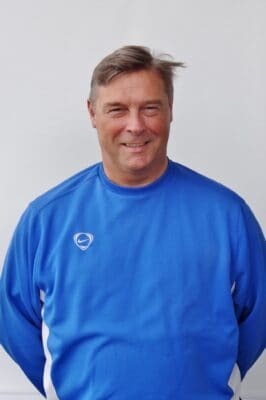 A few days before New Year, Ian Chandler’s Two Blues traveled to Tyneside and, with ten men, came away with a hard-fought 1-0 win, captain Andrew Johnson with the only goal of the game. That was on December 29, since then Dunston went on to play live on the BBC (red button) against Gateshead in the FA Cup, and a few weeks back lifted the Northern League title, and promotion to the Evo-Stik North. 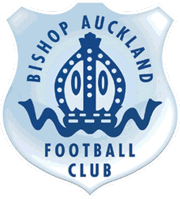 They’ve not taken their foot off the gas either, which is a factor that makes the Two Blues manager wary of them on Saturday, more so as Bishops are still pretty much threadbare. “Dunston are still going just as strong as they have been so it will be as hard as any other game,” began Ian. “We just need to make sure that it’s about us as we aim to get back to how we were. We’ve played a lot of good stuff this season but unfortunately all of our bad luck happened at once. “They never really troubled us when we went to their place and the sending off galvanised us, spurring us on to get that win. Injuries and suspensions have all arrived at the same time for Chan and his backroom team, that coinciding with a loss of form but, recent results have seen an upturn in that from which they’ve taken heart and are still battling for runners-up. “We are still pretty much threadbare even on Saturday,” continued Ian. “I’ve probably got about 14 players still so they just need to go out there, enjoy it, and hopefully get that second place. Already looking ahead to what is expected to be a busy summer at Heritage Park, the threadbare Two Blues go into the game with Dunston with Callum Munro suspended, and doubts over Kieran Galbraith and Tom Bott, meaning it’ll be pretty much the same squad as has been used in recent weeks.